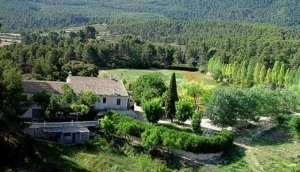 If you are looking for a peaceful holiday during your break in the Alicante region, you may want to consider staying in a farmhouse or finca (rural cottage). Inland Alicante is a world away from the coast with stunning scenery. During your time, you can explore the mountains, go fishing or enjoy being surrounded by nature at its finest. In the Spring, you can enjoy the sight and scent of the blossom on the trees while in Autumn you could watch (or take part) in the annual grape harvest for making fine wines. The bars and restaurants will offer some speciality dishes which may not be so readily available on the coast.